Blog Home » Is Starbucks OK for Children’s Teeth? Starbucks is incredibly for adults and adolescents alike. While adults tend to drink coffee without a lot of added sugar, some of the drinks that children enjoy are loaded with sugar, and terrible for teeth. If your child enjoys Starbucks, take a closer look at what they are drinking. Sugar feeds the harmful bacteria on teeth and creates acid that erodes enamel. This causes plaque and ultimately cavities, which is why you should limit the number of sugary foods and drinks your child consumes. Unfortunately, most of your kid’s favorite drinks from Starbucks are absolutely LOADED with sugar. One of the most popular drinks aimed at kids, Frappuccino‘s are absolutely loaded with sugar, each of which contains AT LEAST 50 grams of sugar per drink. Frappuccino‘s come in a variety of flavors, but each of them contains far more sugar than your child needs to consume in one day. Another iced drink, the Iced White Chocolate Mocha contains 54 grams of sugar per drink, which is far too much sugar for one drink to contain. That’s because white chocolate is made with vanilla and sweetened with sugar when it’s processed. It can be easier for parents to justify getting a black cup of coffee every day from Starbucks, but most of the drinks intended for children are loaded with sugar and should be seen more like milkshakes and less like coffee. 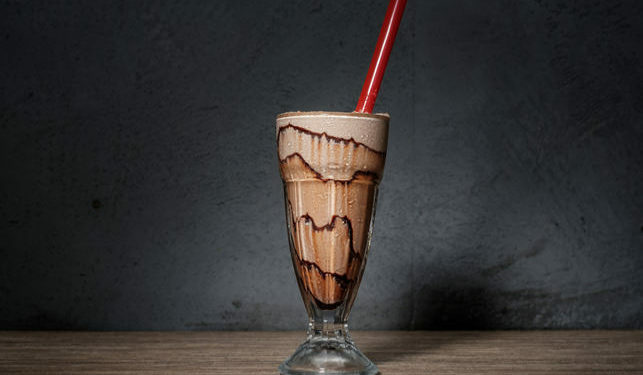 Since their favorite drinks are like milkshakes, then treat them that way and limit the number of drinks they purchase from Starbucks to once per week. If your child regularly enjoys beverages that are loaded with sugar, then they are more susceptible to cavities and their overall health can suffer.